There was definitely some tension during today’s outing. Finally, the moment we’ve all been waiting for: the first royal engagement with Kate Middleton and Prince Harry’s wife-to-be, Meghan Markle. 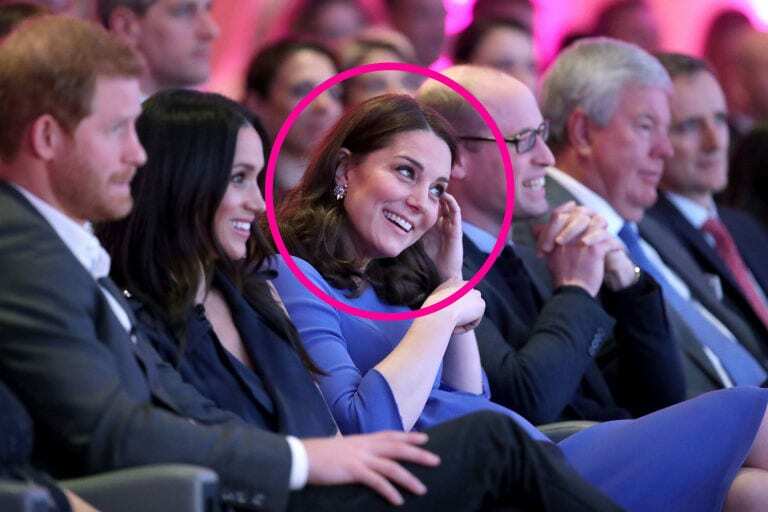 Meghan and Kate joined their partners at the inaugural Royal Foundation Forum, but to no one’s surprise, all eyes were on the ladies. This is only the second time that we’ve seen these two together. The last time they were spotted together was on Christmas day. Ever since, we’ve been patiently waiting for another sighting to give further insight into what their friendship is like — and the time is now. Meghan’s body language proves that she looks to Kate as a mentor — a big sister, if you will. After all, Kate’s an expert when it comes to royal outings. 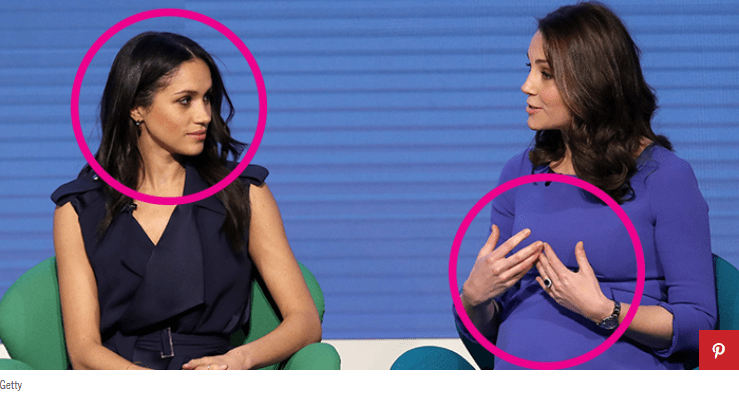 “Meghan is very conscious about matching and mirroring Kate,” Patti Wood, body language expert and author of SNAP: Making the Most of First Impressions, Body Language, and Charisma, told GoodHousekeeping.com. 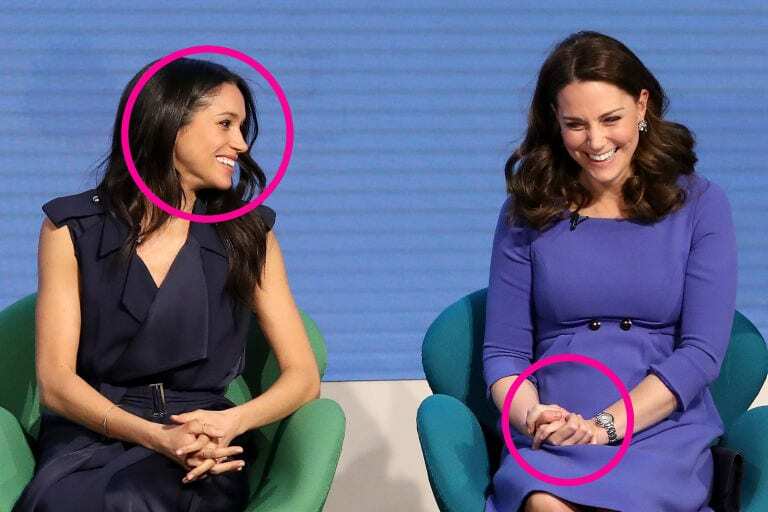 ” It seems that Kate is totally fine with this, which indicates that they have a connection and are already comfortable with one another.” Throughout the event, Meghan mimics Kate’s behavior by clasping her hands in her lap, crossing her ankles, and point her elbows outward. C’mon, they even dressed alike. Crossing ankles, for example, is likely a result of royal coaching — a gesture to convey that they’re demure and ladylike. 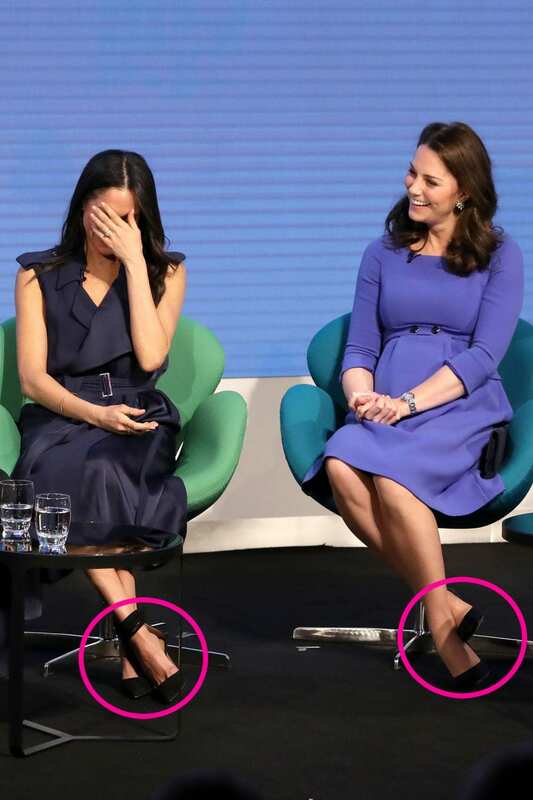 “What’s interesting is that Kate’s left leg is in a snake curl around her right,” Susan Constantine, human behavioral expert and author of The Complete Idiot’s Guide to Reading Body Language, told GoodHousekeeping.com. “This motion is her way to brace herself and stay in control, which means that she might be experiencing some tension.” Meghan, on the other hand, is focused on holding this soft pose. After Meghan and Kate look at their partners (and Meghan subtly touches Harry’s arm), Meghan turns and looks at Kate. “This indicates that Meghan doesn’t only have a relationship with Harry, but also with Kate and William,” says Wood. Oh, and we can’t forget about the hair touching. Meghan is known to stroke her hair from time to time — a soothing gesture that alleviates uneasiness or anxiety. While in the audience and on stage, Kate (not Megan!) touched her hair. “When Kate reaches for her hair, this is her way of saying, ‘I’m tense. I hope I still look appropriate despite being uncomfortable,'” says Wood.